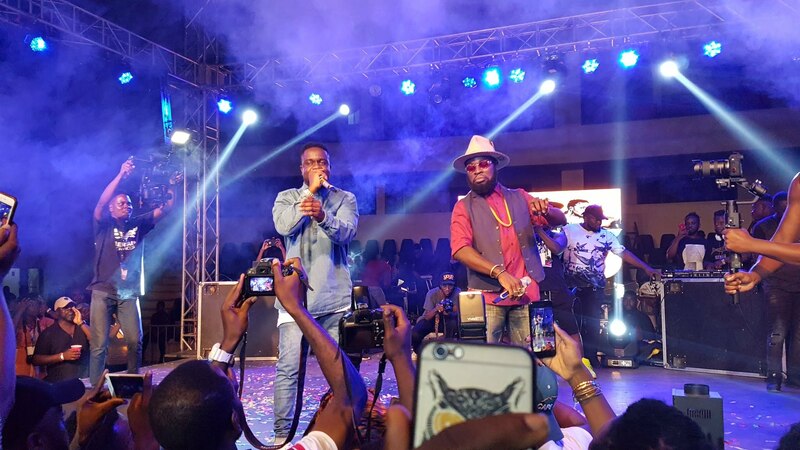 Sarkodie and Manifest officially squashed their beef Sunday night when the two rappers appeared onstage together to perform Sarkodie’s “Original ” Hip-hop song during Manifest’s “Manifestivities” concert held at the Bukom Boxing Arena. Two years after Sarkodie and Manifest volleyed high-profile diss tracks at one another, the two rappers shared the Boxing Arena stage to put their feud to rest. In between the thrilling performance , the decorated rappers indulged themselves in a healthy conversation. Manifest hilariously questioned Sark’s presence at his concert and below is what Sarkodie said.